What if we told you that you can have your very own personal stylist? You know, like Sonam Kapoor, Deepika Padukone and Katrina Kaif have. We are talking about The Modiste, a personalized styling platform based out of New Delhi, delivering an ensemble of 5-7 handpicked items directly at your doorstep. Founded by two ex-Samsung employees Vinita Joshi and Amandeep Singh, The Modiste is focussing their services on working women and stay at home mothers. After filling a small style profile, a personal stylist is allotted to you. Your stylists will call you on your mentioned time to know all about your lifestyle, style preference, and personality. Based on the conversation and style profile the stylist will handpick items (clothes+accessories) for you. These items are packed in a box. Along with these items, a ‘Note from the Stylist’ is also sent. The note contains style tips on how to wear each item inside the box in different ways. You will get half an hour to 45 minutes to try the stuff on. You can keep and pay for the items that you like and return the rest. Virtually every investment requires some sort of valuation analysis, and the 3 statement financial model plays a central role. A well-built model can help gauge the true health of a company in terms of its profitability, liquidity and sustainability. Gathering the relevant data, putting it together in the form of a model, and making sure the hundreds of figures that impact the final answer all line up, requires hours of work each and every time and advanced knowledge of accounting and financial concepts. Founders Rishab Dugar and Namit Setia developed Novo34 to automate the financial modeling process, quite possibly the most tedious and aggravating part of any financials analyst’s job. The Novo34 model adopts an innovative approach to reduce the amount of time and effort required on the part of the user. Novo34 is the recipient of Yale University’s Morris and Miriam Pozen award for its ability to generate models in under 1 minute. With the belief that a felicitous life can be enjoyed by a person who has healthy mind and body and a mission to bring superior healthy and nutritious meals to the busy people of Bangalore, two young fitness enthusiasts-turned-entrepreneurs, Pushpesh Dutt and Sudhanshu Sharma, started Tandurust in 2014. Tandurust offers balanced meals (in terms of all macronutrients) that are consumed more frequently than apparently healthy but food options (eg. salads). It makes and delivers 4 meals in a day which are nutrient measured & calorie counted, mainly through subscription plans to diverse group of customers like fitness enthusiasts, working couples, bachelors, working professionals, startup and helps them in achieving their fitness goals. With customers from big companies like HSBC, Goldman Sachs, Paypal, CISCO, HP, Twitter and startups like Flipkart, bluestone Tandurust has got a very good traction so far. It has reached 300+ customers, delivering 6000+ meals so far. More than 60% of the customers have continued their subscription plans. Tandurust intends to reach 1000 orders a day, to be served from the currently centralized kitchen in Bellandur. With the concept of making gifts a lifelong memory for your loved ones LivingGifts was started as a gifting portal in 2012 based out of New Delhi and today it is one of the leading portals for plant gifting with a network of nurseries through which it delivers gifted plants to your doorstep. Back in 2012 the founders realized that plant gifting was considered inconvenient for the customers due to various reasons like – difficulty to carry, unavailability of doorstep delivery, lesser online options, etc. These issues actually encouraged them to work on this concept by addressing the pain areas of handling, last mile delivery and product appearance. After tremendous research and work they launched the website which enabled customers to find plant gifting appropriate for any occasion, be it birthday, wedding anniversary, corporate gifting or general gifting. LivingGifts has more than 500+ options to choose ranging from Rs.100 to Rs.5000 and it delivers in 14 cities across India. 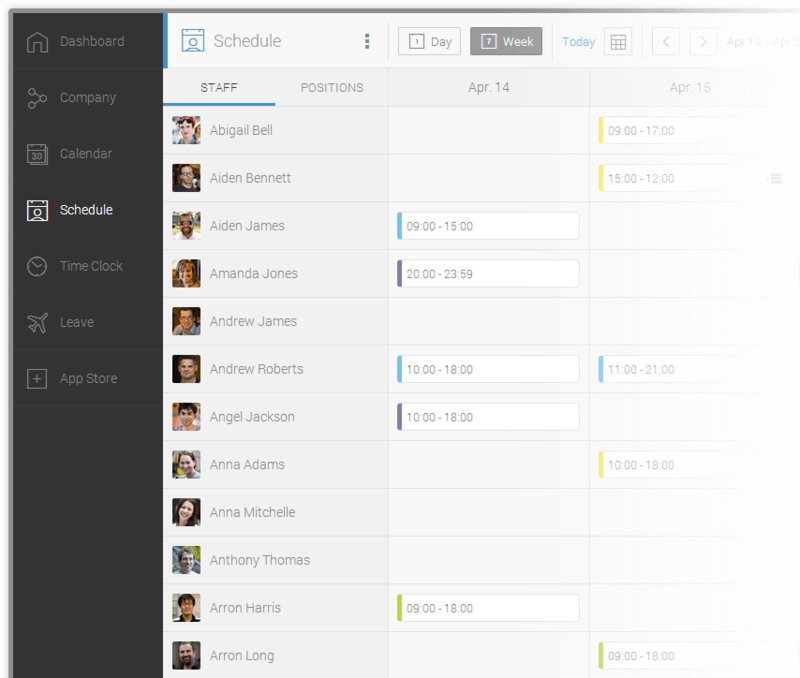 While there are many examples of excellent software that can help employers manage their team schedules and shifts in the cloud, very few give them a more all-encompassing solution for business management. The Humanity workforce management software aims to provide just that. As an employer, you can easily organize your staff and monitor your business.You can set up a company hierarchy according to locations and positions, or create custom fields to fit the individual needs of your organizational framework. By allowing employees to trade shifts among themselves, Humanity helps to significantly decrease the scheduling workload of employers. The drag-and-drop shift management and auto-scheduling options also significantly decrease the amount of time managers spend on planning everyone’s work hours. Previous articlePick from 100 Skill Workshops, from 750 Companies, to boost your resume. Next articleSheryl Sandberg talks about working at Facebook, what motivates her, her role models and more.